We recently told you about a private home, Camborne, being converted into a hospital in Wodonga. 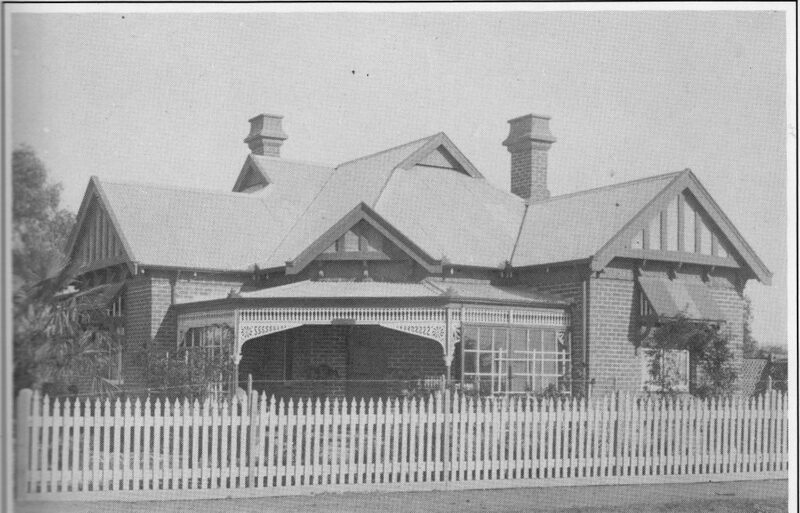 Many Wodonga residents born between 1922 and 1938 will have been born in Sister Hughes’ private hospital, which was on the south-western corner of High and Stanley streets. The Wodonga Historical Society has the architectural hand-drawn floor plans for the building, which was constructed as a family home for Albert Schlink, the storekeeper. His store was where Coles in High Street now stands, so he only needed to cross the street to get to work. Catherine Josephine Hughes, whose sister Mabel had earlier married into the Schlink family, came from Bendigo to take over the lease on the hospital in 1922. The building was then owned by Francesca Ryan (nee Shlink). In 2002 the society was fortunate to interview Elsie Enever, nee Walker, who as a 16-year-old worked for sister Hughes. Her job included general cleaning and delivering meals to patients. Elsie was one of three domestic staff, the others being the cook, Mrs Baker, and Mrs Kimball who did the laundry. Apart from sister Hughes, there were nurses Poyntz and Costello. Dr Frank Grant was the only doctor who attended the hospital in the time Elsie worked there. Surgeries were carried out at the hospital, and Sister Hughes would often go across to Toole’s garage, on the opposite corner, to ask them to close their doors and keep noise to a minimum when a seriously ill patient was being nursed in the front room of the hospital. Elsie said they were very understanding and complied with the request. Elsie’s wage was 10 shillings a week, working six days a week, from 6am until 7pm with a couple of hours off after lunch, workload permitting. Nurses Poyntz and Costello took charge of the hospital in 1938 and Catherine Hughes continued to be listed as a nurse on the electoral roll until 1954. In the early 1940s she conducted a business in the “lolly shop” in High Street, south of St Augustine’s Church.